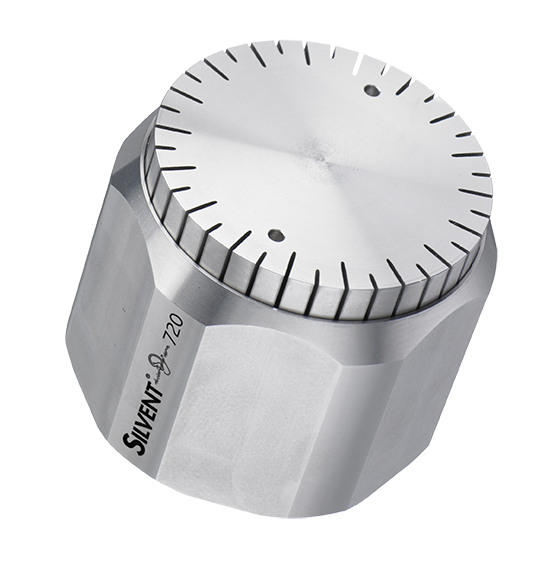 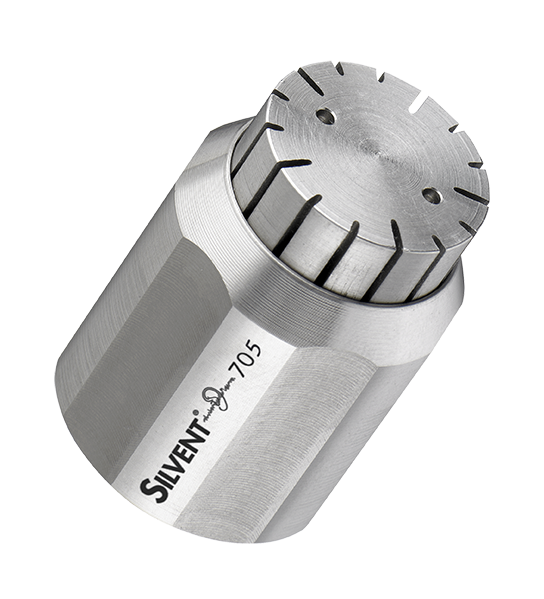 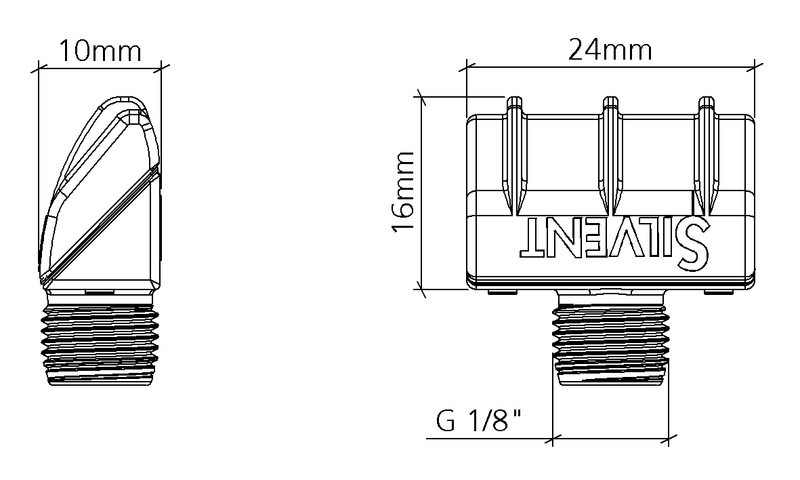 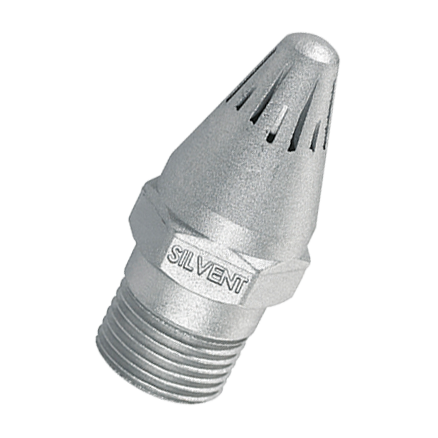 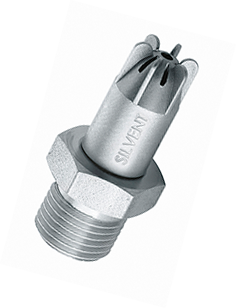 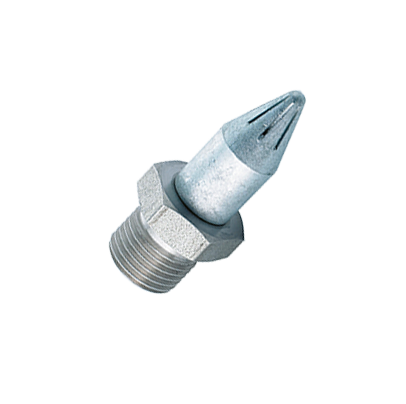 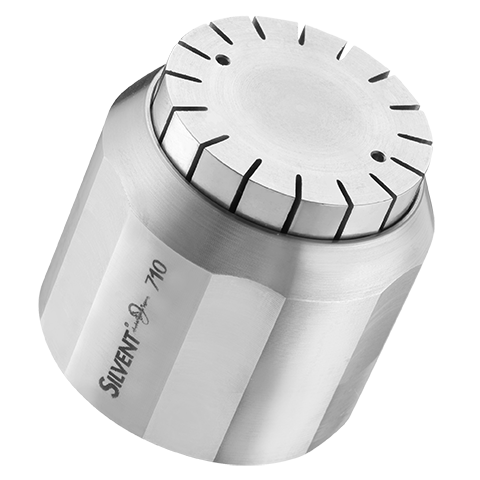 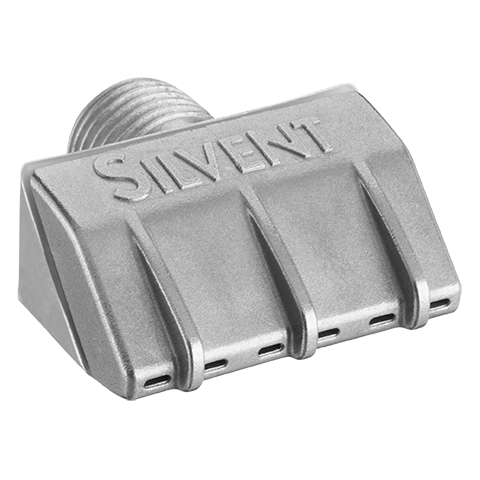 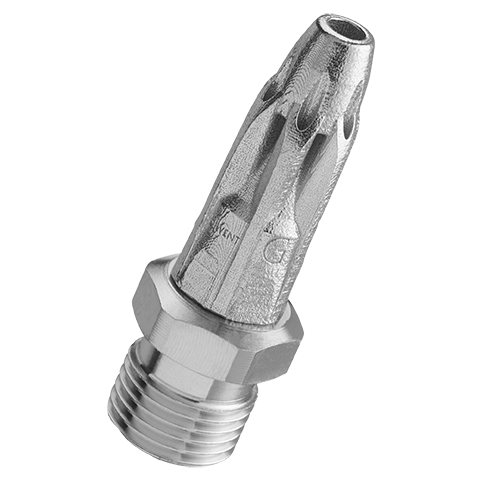 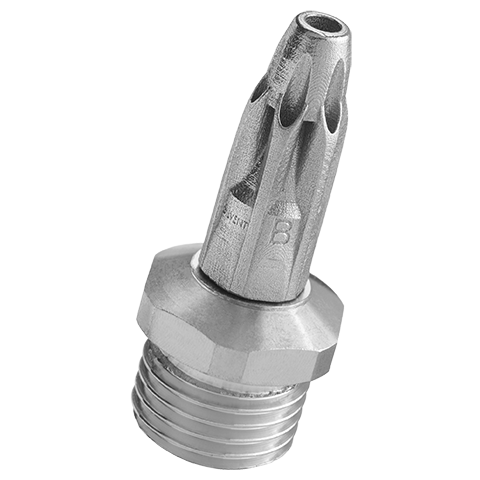 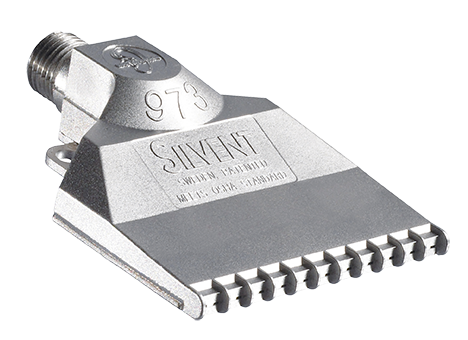 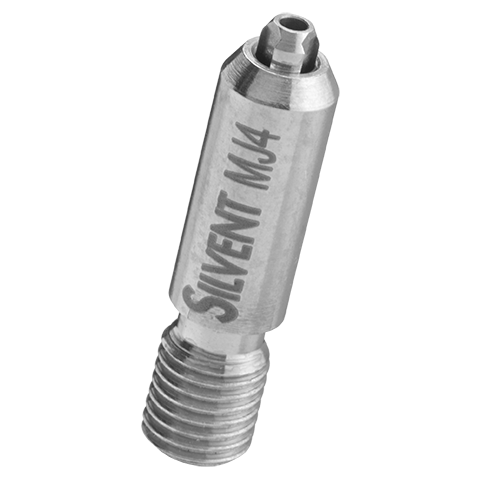 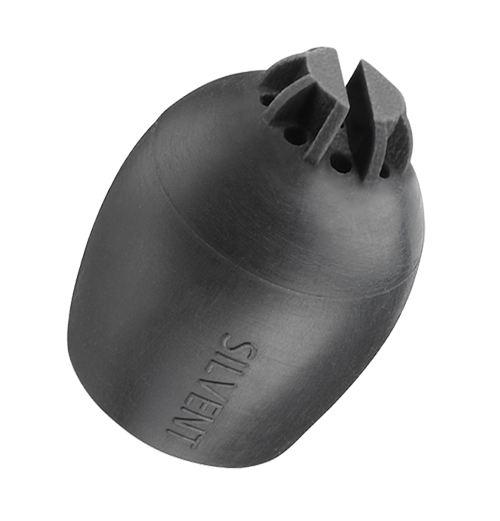 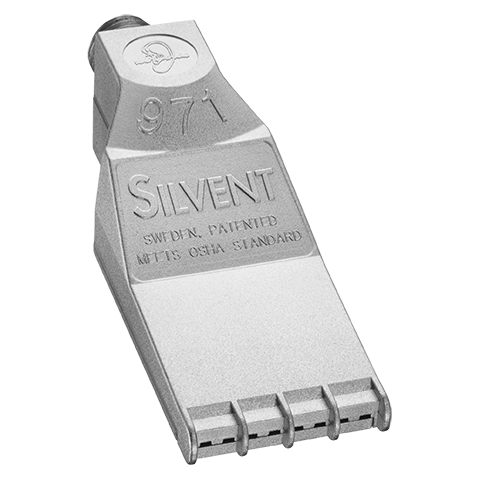 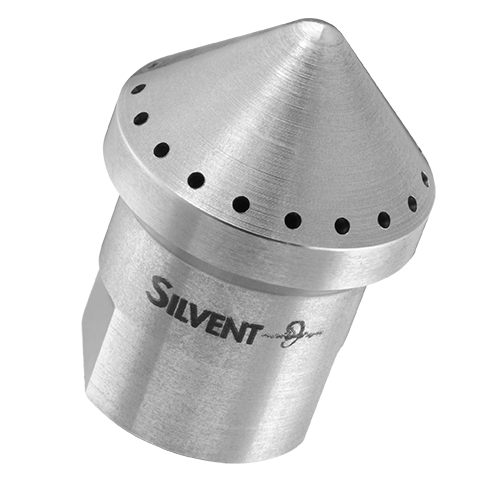 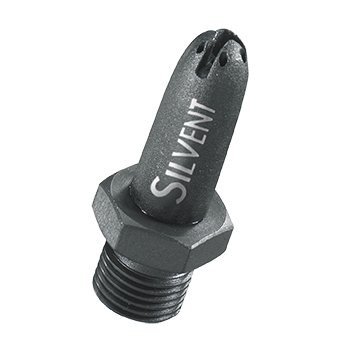 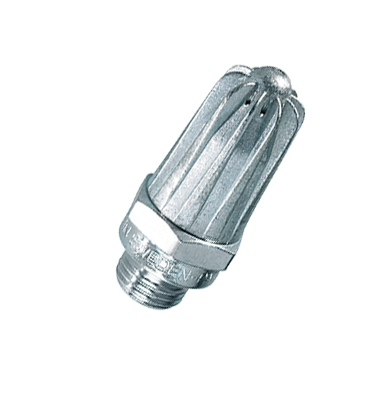 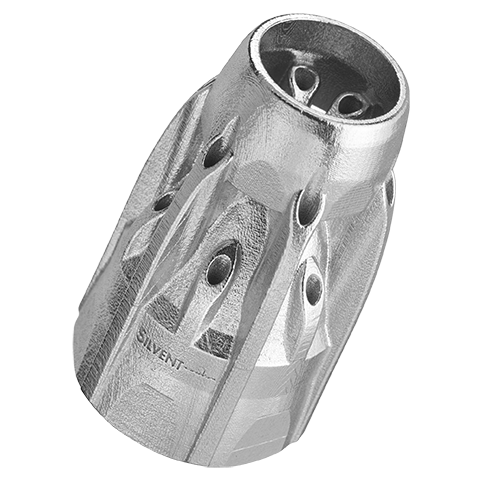 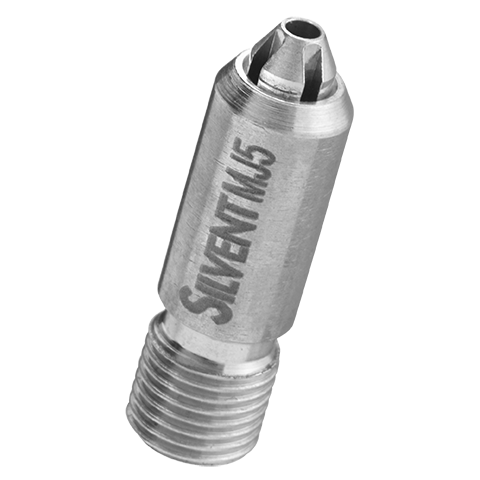 SILVENT 941 is a small angled flat nozzle in stainless steel. 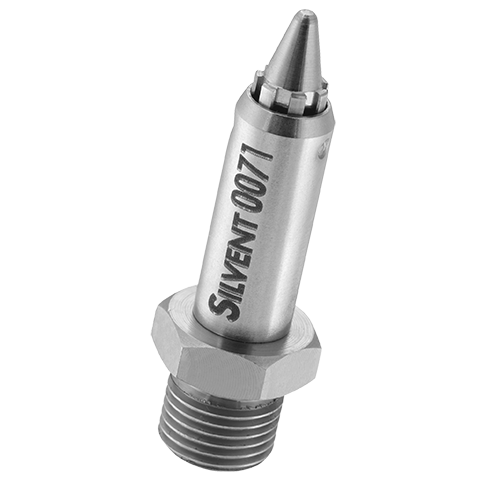 The nozzle generates a wide thin air stream. 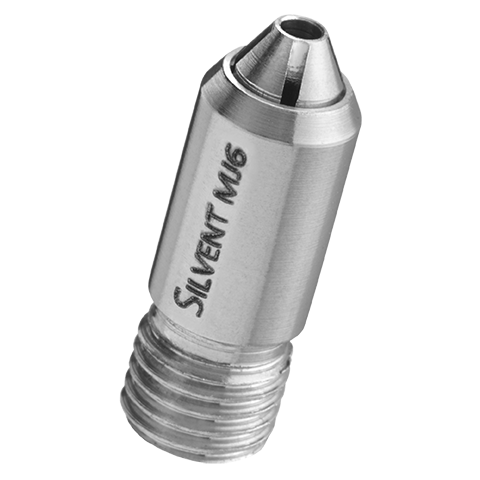 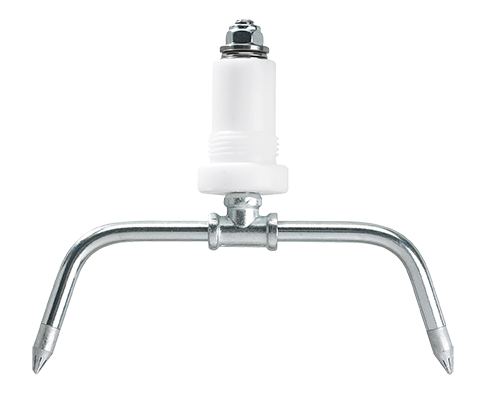 Due to its small dimensions, the nozzle is very suitable for machine designs with limited space. 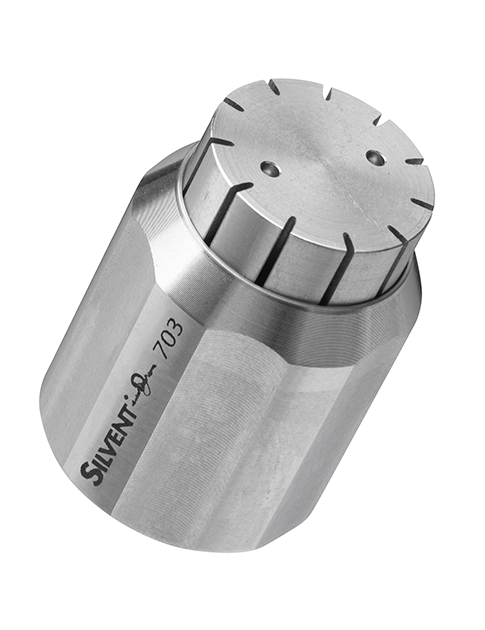 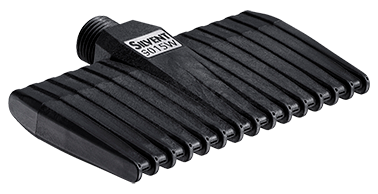 The SILVENT 941 is also commonly used in small, silent and efficient custom made air knifes. 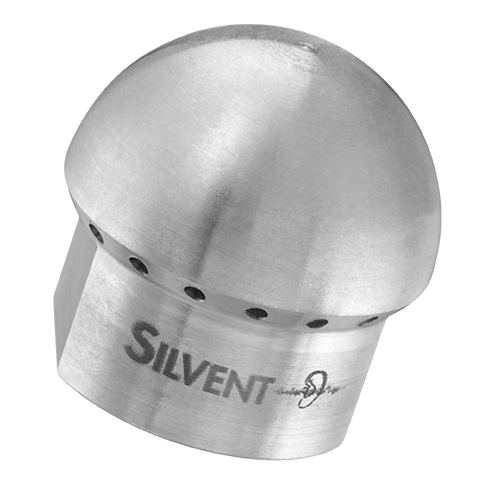 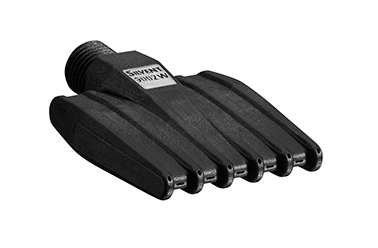 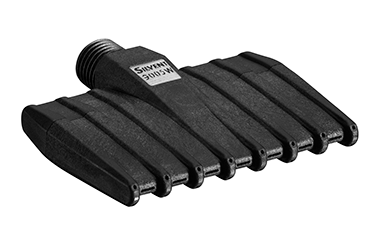 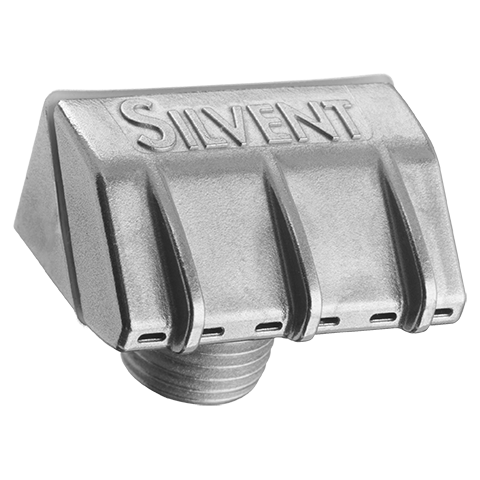 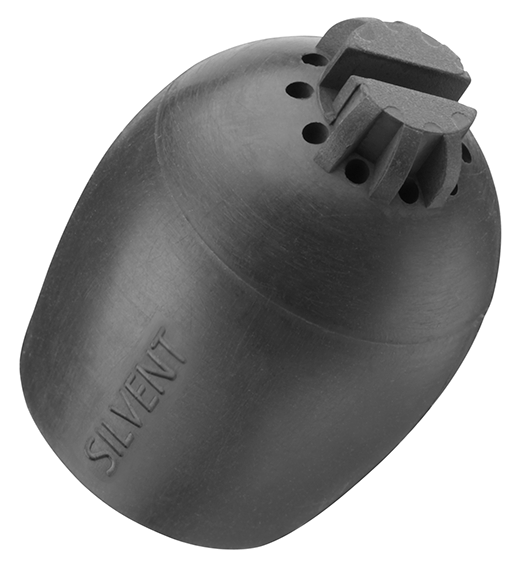 The Silvent technology makes it possible to combine efficient and silent blowing. 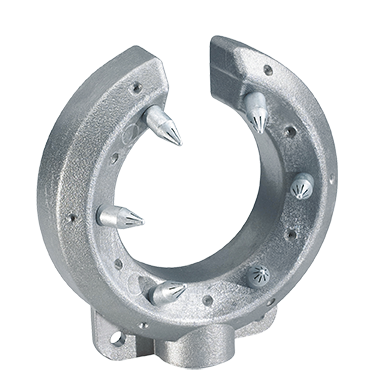 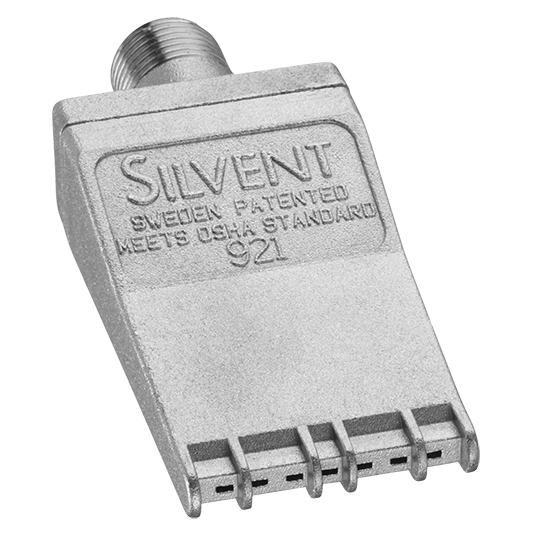 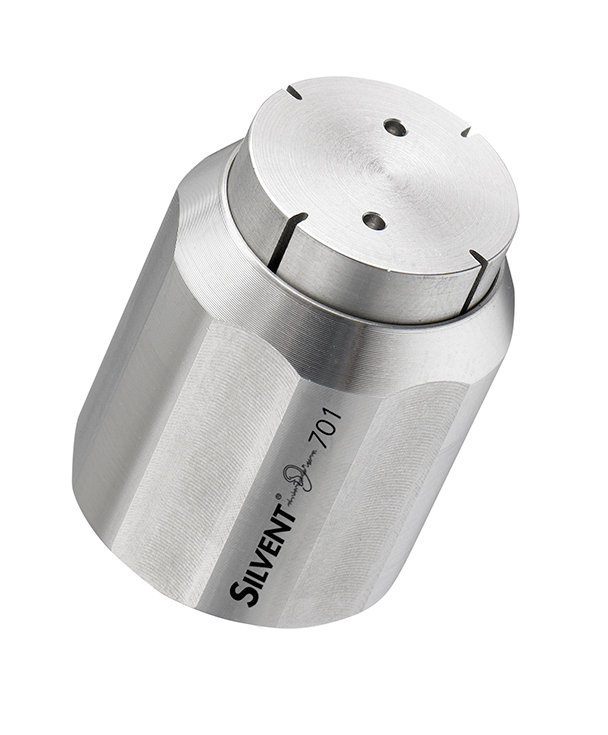 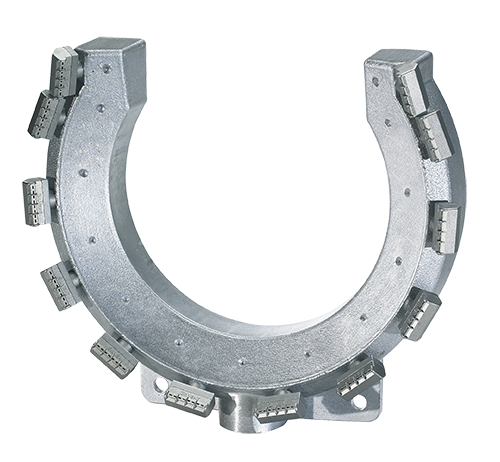 SILVENT 941 fulfills the noise requirements of the EU Machine Directive as well as the OSHA safety regulations. 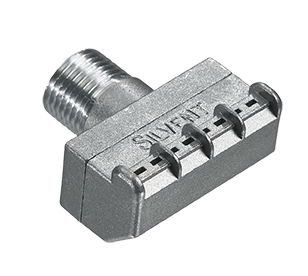 Connection G 1/8" NPT 1/8"